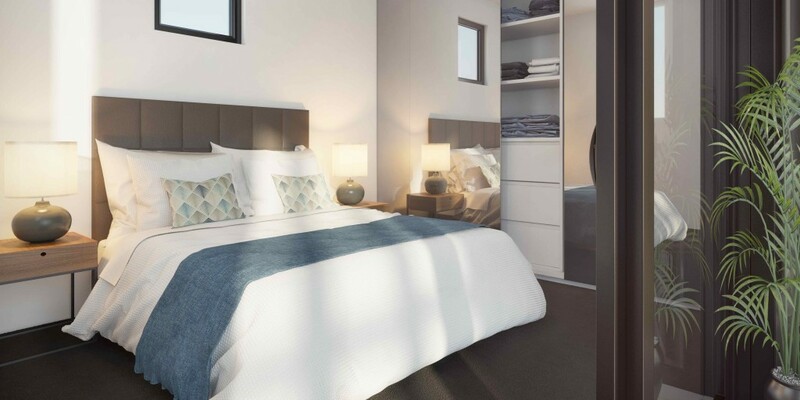 ST PAULS TCE & BAXTER STREET, FORTITUDE VALLEY Baxter St Apartments, the latest boutique residential project from Forrester Properties, is the signature address to connect with Brisbane’s most engaging inner-city location, Fortitude Valley. Prominently positioned on the corner of St Paul’s Terrace, Baxter Street and Hadlow Lane, this 10-level architecturally designed mixed-use development takes full advantage of the unique three-street frontage and emerging neighbourhood laneway culture to deliver the ultimate urban lifestyle. All the character and connectivity of contemporary Fortitude Valley is right on the doorstep of these 56 sophisticated residences, backed by stunning new standards in modern building services and its own vibrant ground floor deli/café. From the designer shopping, fashion and fresh market produce of established James Street to the emerging King Street retail and commercial strip at the heart of the RNA Showgrounds redevelopment that will provide a similar oering only 200m from Baxter St Apartments. 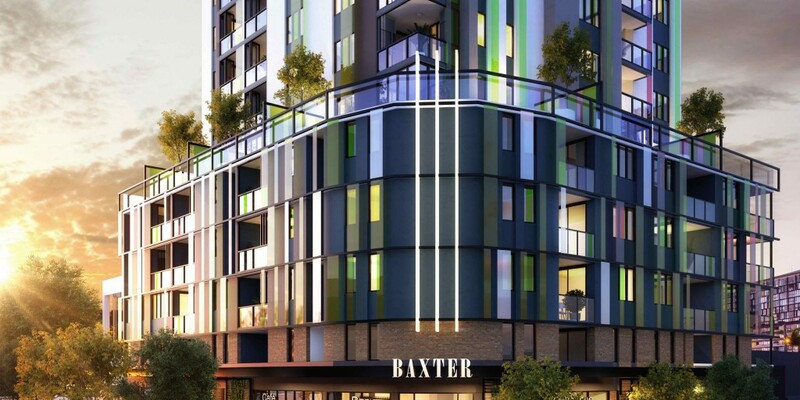 Accessibility and the ease of walking to everything that the emerging Fortitude Valley precinct has to oer, and is sought after by sophisticated urban residents, is at the heart of Baxter St Apartments. This is the chance to live, work and play in a prime lifestyle and investment location within an inspiring inner-city neighbourhood that has only just begun its rejuvenation. Fortitude Valley is where the heritage and dynamic new direction of Brisbane come together to create an environment that will help shape the city’s future character. Baxter St Apartments is perfectly positioned to benefit from this ongoing renewal, just two blocks from the landmark $2.9 billion regeneration of the historic RNA into a fully integrated residential, commercial, retail and events hub. Put yourself in the picture as the vision for Fortitude Valley becomes a reality and delivers the unrivalled urban lifestyle befitting Brisbane’s standing as a new world city. 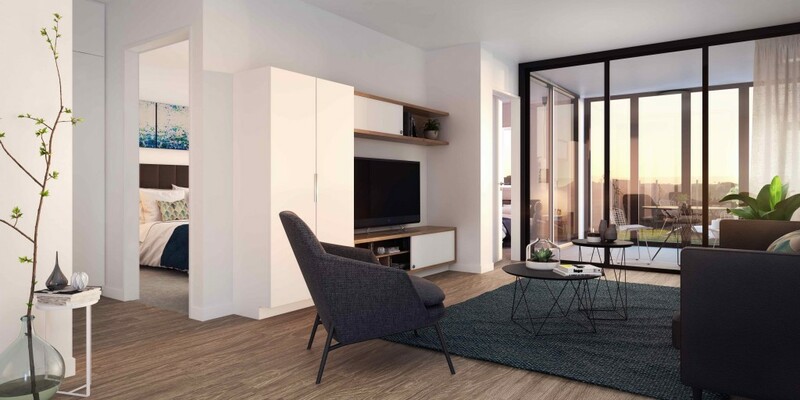 Fortitude Valley is one of inner Brisbane’s most highly sought-after residential locations and as such presents a compelling investment opportunity. 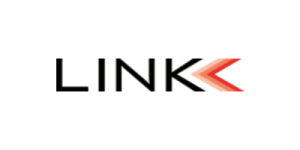 Its proximity to the CBD and major employment, education, hospital and medical nodes, coupled with its own rapidly developing amenity and lifestyle appeal, makes this the location of choice for young urban professionals to live, work and play. 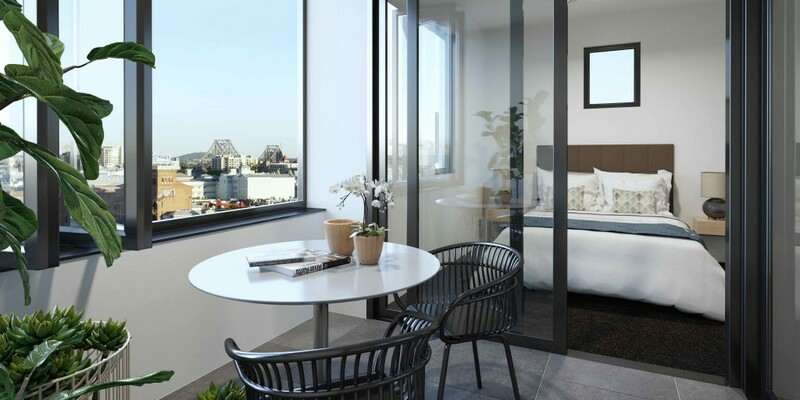 With continued increases in its permanent population, and median property prices and rental yields, Fortitude Valley should also be the location of choice for the savvy investor. 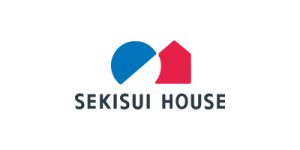 It has shown steady property growth over the past decade and the major urban regeneration and new transport infrastructure that is set to further transform the suburb means the real capital and rental growth returns for investors are still to come. 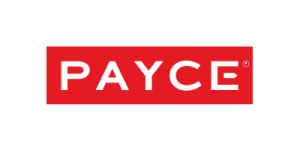 Now is the time to secure a prime position in a high quality boutique residential development catering directly for the ongoing demand for stylish one and two bedroom apartments in this evolving urban community. 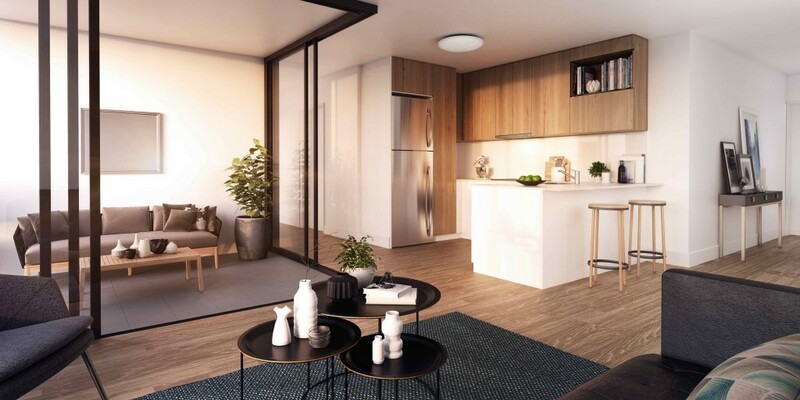 Baxter St Apartments sets new standards in sophisticated and streamlined modern living that allows residents to fully immerse themselves in the vibrant Fortitude Valley community. With endless dining and entertainment attractions within easy reach at any time of day or night, the focus is on low-maintenance and world-class facilities that complement and enhance the complete lifestyle on oer. By reflecting both the historic character and modern appeal of its surrounds, The elevated setting overlooking, but not crowded amongst, the maturing Fortitude Valley precinct is maximised with open views, natural light, a sense of space and community connection. The building’s brickwork-style façade and art deco columns are inspired by the local heritage architecture, while the innovative use of transparent panels reflect the colours of the iconic Poinciana and Jacaranda trees. The result is a contemporary architectural style that honours the history of the local area, adds to its ongoing urban regeneration and houses the premium inner-city residences so in demand from residents and investors alike. A free-flowing interior design framed by crisp, clean architectural lines sets a contemporary style template for sophisticated inner-city living at its very best. 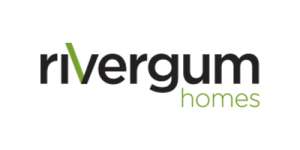 This is showcased in the superior finishes at every turn, from high quality and hard wearing floor coverings to stone kitchen benchtops, European appliances and tapware. Each apartment eortlessly blends indoor and outdoor space through a sleek, flowing design highlighted by generous balconies capturing natural light and city aspects, open kitchens for entertaining, and floating timber floors in the main living areas. Air-conditioning to each bedroom and living area, ceiling fans in the bedrooms, high speed internet and the latest smart living innovations, including security card access and CCTV monitoring, are always at your fingertips and complete the sophisticated, low-maintenance lifestyle package. The focus is on easy, smart and functional living with an individual character and style that is reflective of the maturing Fortitude Valley location, increasingly in demand from the busy young professional, aspirational buyer and savvy investor. 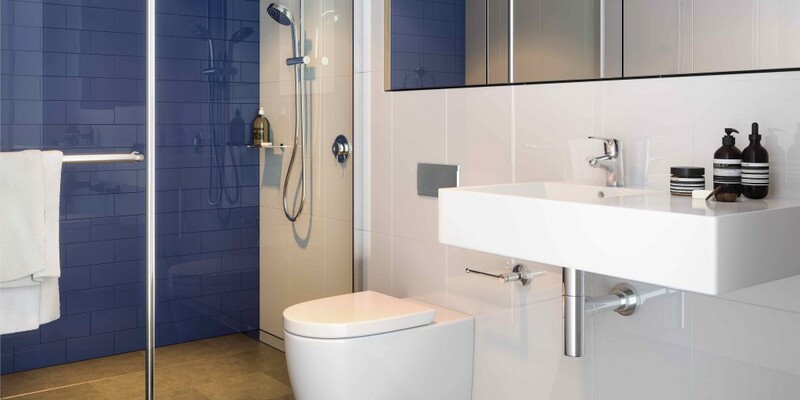 The bathroom features a rain water shower head and full height tiles.